Why Do You Set An Age Limit? The life requires a certain life background and the capacity to mature in a monastic context. The young person can need more experience of life in order to respond to the demands of this kind of growth. Our experience with older women has been that their personalities have been formed—and often very well formed—already. Expecting monastic adjustment for them would be too disruptive for good women who are already working out their destiny in the plan of God for his people. 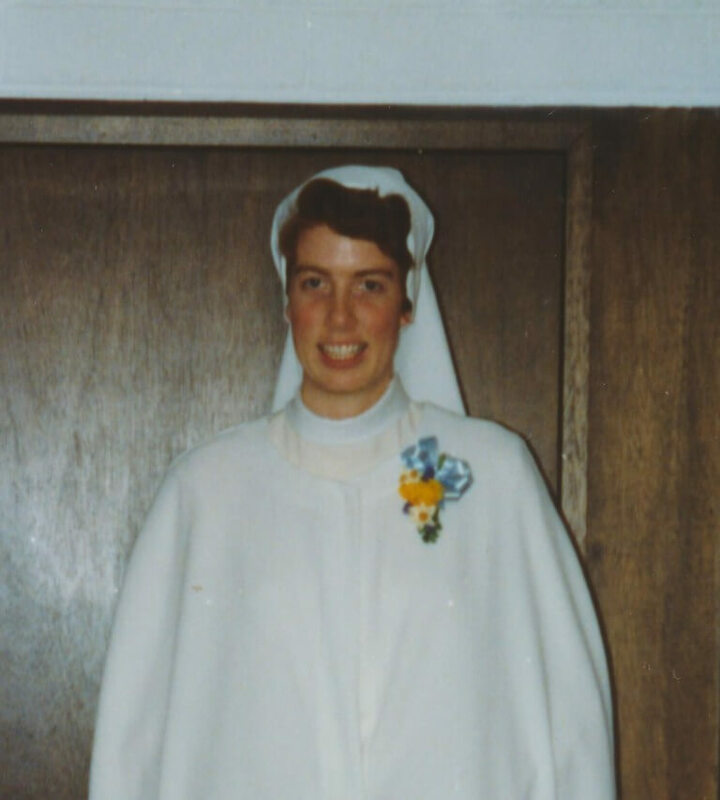 Why Must A Convert Wait Two Or Three Years Before Being Accepted Into The Monastery? There is a certain necessary and admirable enthusiasm in conversion. But a “honeymoon” emotional life is not a full new life in the Spirit. One needs space and time to move on and face the challenges of the new faith in a secular environment first. Dealing with the ups and downs of the Church’s daily life provides an essential background for monastic formation. Time is of the essence in monastic life, and to accept this need is a growth factor in itself. The waiting period is a kind of pre-postulancy. Trappist Life Has The Reputation Of Great Austerity? Can An Ordinary Person Live It Well? Perhaps “simplicity of life” is more accurate than “austerity.” Yes, the life style requires a lot of us, but an ordinary person can be happy in an environment that clears one’s life of the unnecessary. The hardest part is the usual incentives to growth that one would find in any worthwhile life: the confrontations with one’s own disabilities and those of others, accepting the daily routine with joy and enthusiasm, the over-and-overness, the fidelity to choir and work that lacks glamour and self-promotion. This is a simple life, and simplicity can be the greatest kind of austerity. But the person who is truly called finds joy and meaning in it. 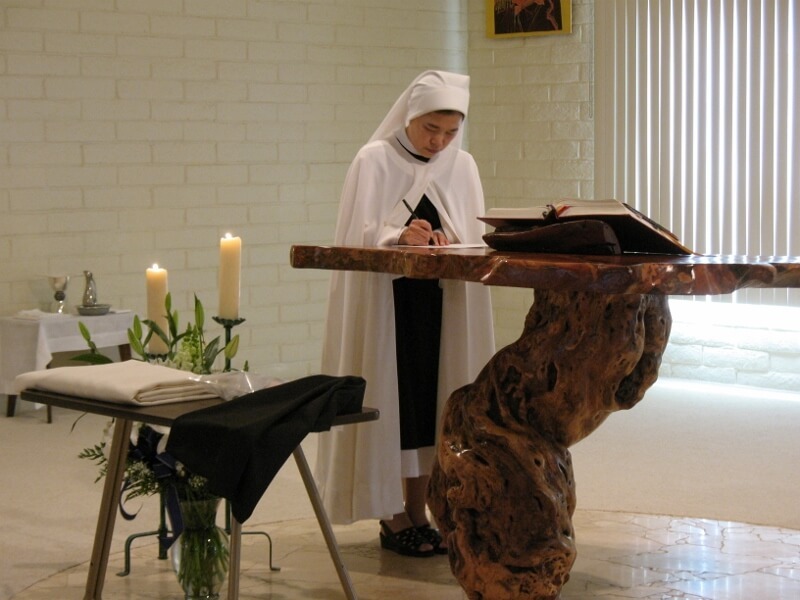 What Is The Process For Entering Monastic Life? First, we keep in contact with the inquirer–Emails, visits, and if the inquiry seems to indicate the possibility of a vocation, a few months of observership within the community. There is ample time to reflect, weigh one’s experience, and return or realize this is not the life to pursue. If the community offers, and the candidate desires it, there follows a six-month postulancy. The postulant lives the full life of the sisters, accompanied by the novice director in what we call the novitiate. This is a time of discernment, and leads to two years as a novice. 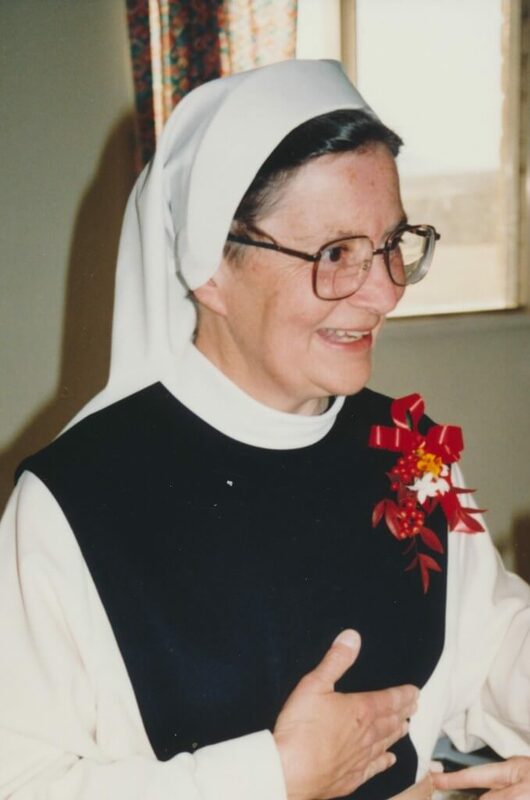 If the candidate and the monastery recognize an authentic vocation, and the novice desires it, she will make Profession of Vows for three years. At any time during the postulancy or novitiate, the candidate is free to leave, as she is at the completion of her period of Simple Vows. If the vocation is solid and the Professed is happy to recognize her call, she will be accepted for Solemn Monastic Consecration.